The hunt for a shampoo and conditioner combo to make our hair shiny, silky, and radiantly glamorous has been a struggle. Although we've found great products that make our tresses healthier, thicker, and smoother, we have yet to discover a hair care item that gives us the gleaming sparkle we desire. Once we diverted our attention away from shampoos, conditioners, spritzes, sprays, and mousses, we stumbled upon the product of our dreams. We never imagined that the radiance we've been searching for could possibly materialize from an aerosol can of temporary Halloween hair color. Our minds were blown from the moment we dusted our heads with this product! Our head can transform into a multi-colored disco ball and we dig it. 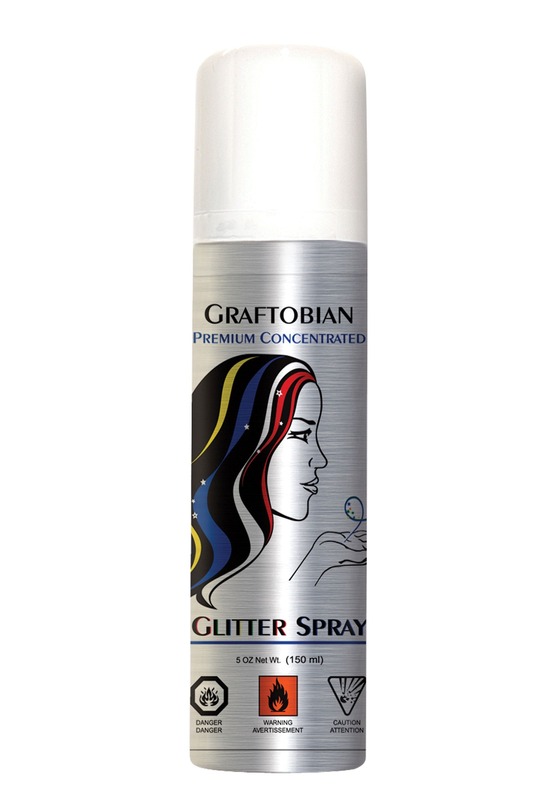 From the temporary hair color brand, Graftobian, this multi-color glitter hairspray coats your locks in prismatic sparkles to give you the magical mane you've always desired. You'll receive 150 milliliters of product which is enough to shower your entire head with colorful shimmer. Once you're ready to go back to your normal color, the glitter easily rinses out with shampoo and water. Please note that glitter hairspray will make any unicorn, princess, mermaid, or fairy costume more enchanting. Couldn't see the glitter myself.